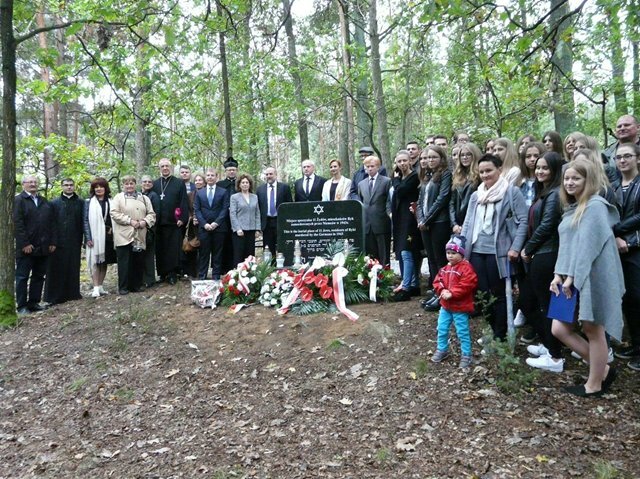 In Zalesie, next to the grave of 11 Jews murdered by the Germans in 1943, there took place a ceremony carried out by the Lasting Memory Foundation. Local residents, school children and invited guests attended the ceremony to pay honors to the dead. The ceremony was attended by: Representative of the Chancellery of the President of Poland Jakub Beczek, the Chair of the US Commission for the Preservation of America’s Heritage Abroad Lesley Weiss with the Commission members, Chief Rabbi of Poland Michael Schudrich, Bishop Mieczysław Cisło of the Polish Episcopate, Representative of the Governor of Lublin Province Artur Jaśkowski, Deputy Mayor of Ryki Magdalena Woźniak, Parish Priest of Ryki Krzysztof Czyrka, Manager of the Culture Center in Ryki Bogumiła Porowska, President of the Friends of Ryki Society Hanna Witek, Administrator of Zalesie village Grzegorz Cieślak, teachers and students from Maria Skłodowska High School in Ryki and local residents. 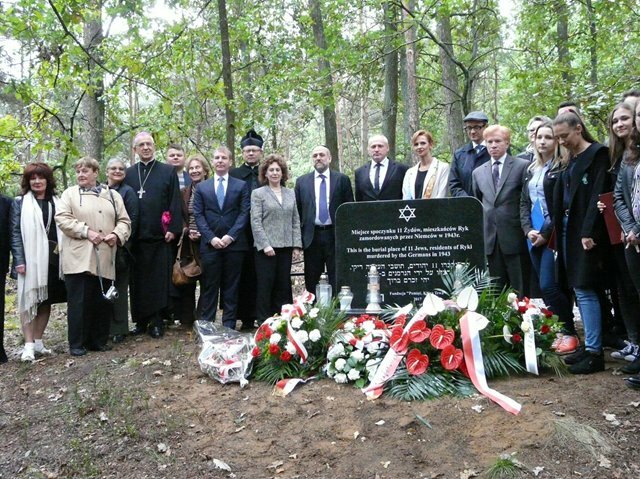 The ceremony was conducted by Zbigniew Niziński, Presidents of the Lasting Memory Foundation. 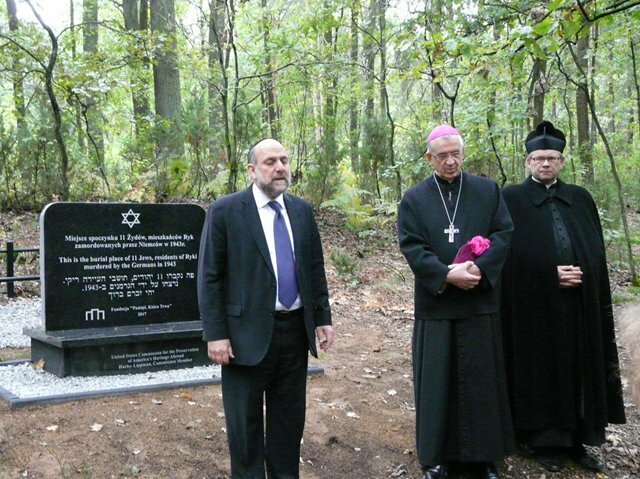 After the Foundation’s President had described the tragic events of 1943, Rabbi, Bishop and Parish Priest prayed together and Chair Lesley Weiss gave a speech. 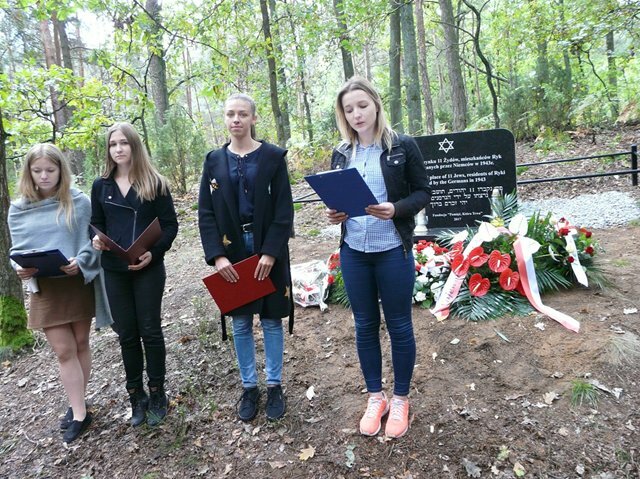 The High School students recited poetry devoted to the fate of Jews at the time of the war. 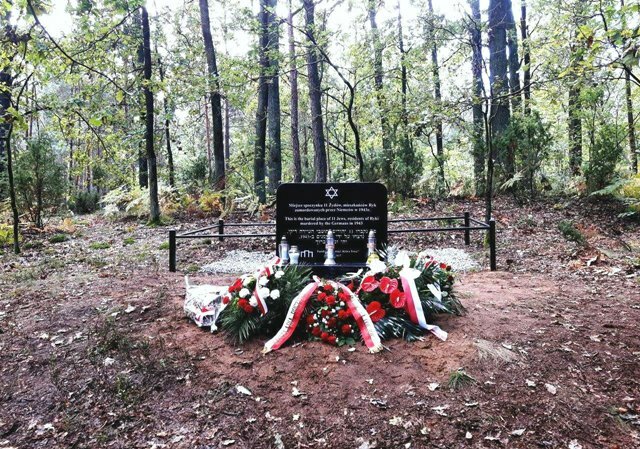 A wreath and candles from the President of Poland were laid at the memorial, as well as flowers and lights from the ceremony participants.